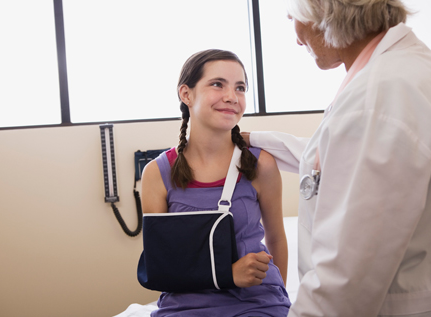 Part of urgent care is the availability of our X-rays so we can best focus on your injury, our medical center staff never loses sight of the whole person. We are equipped to perform common x-rays including knees, ankles, hands, arms and more. This means if you come in with a fracture, for example, we can confirm the break, put a splint on it and help you arrange for a specialist if necessary. At Med Care Medical, we know your time is important and we promise to make things as easy as possible for you when you aren’t feeling well. Prescription medication may be a part of your road to recover and we have created processes to streamline this process through electronic prescribing and our in-house pharmacy. For a select number of medications, we have an in-house pharmacy in which the doctor can dispense the medications to you on the spot to reach our goal of making every step of health care simple for you when you need it most. When you are ready, simply come to our Roseville Walk-in Urgent Care for top quality medical care. Our x-ray capabilities allows our staff to provide fast turnaround to get you on the road to recovery.